In 1999, VISION 2020 plan was drafted by the Louisiana Economic Development Council. We laid out specific goals to take us from last place to 20th, over 20 years. We have made little progress in moving towards these goals in the last 20 years. How can we make a cohesive plan to make these goals a reality in the next 20? Read the VISION 2020 plan below. There are many organizations that are working towards the goal of creating a more just and equal Louisiana. They need volunteers and supporters to do the important work that they do! Check out our list with links to get involved! Elections decide who leads our cities, states, and country. It’s imperative that we vote in every election, to chose competent and responsible leadership, that will work with and not against us. If you need to register to vote, or update your registration, you can do so online here. Need to know where to go vote for Early Voting/Election Day, what districts you are a part of, or request an absentee ballot? Visit here! 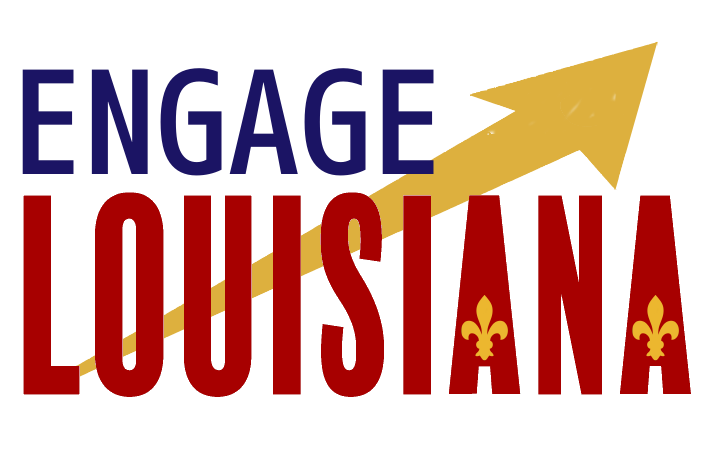 Louisiana Progress wants to keep you in the know. Below you will find information about the next election. Knowledge is power and #VotingCounts! Women on Wednesday is an effort to raise awareness among legislators and the public about the policies we need to improve the health and wellbeing of Louisiana’s women and families. Find your nearest town hall here, to get your voice heard. Can’t make it? Fill out our questionnaire! After our 6 town halls across the state, we will be hosting groups of advocates at the State Capitol, bi-weekly during the legislative session, to receive training on how to influence the legislative process and will have the chance to speak directly to their lawmakers. Find out what is on your ballot here!